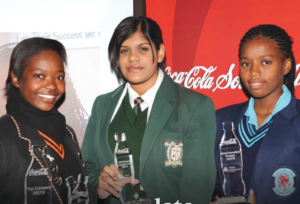 Junior Achievement South Africa (JASA) was established in 1979 as a nationwide, autonomous, non-profit organisation, supported by Junior Achievement Worldwide (JA), which was established in the United States in 1919. Thus, 2019 marks our local 40th anniversary and global 100th anniversary. 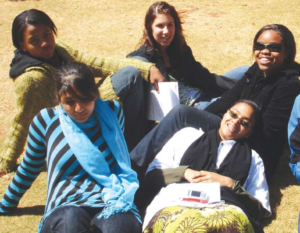 JASA’s story began at the end of the 1970s, when Wits Business School was given the mandate to make some of the school’s resources available to the wider community. So, with funding from South African Breweries, Professor Jake Jacobs established the Centre for Developing Business (CDB) and a highly entrepreneurial innovator, Dr Stephen Black, was appointed as the first director. 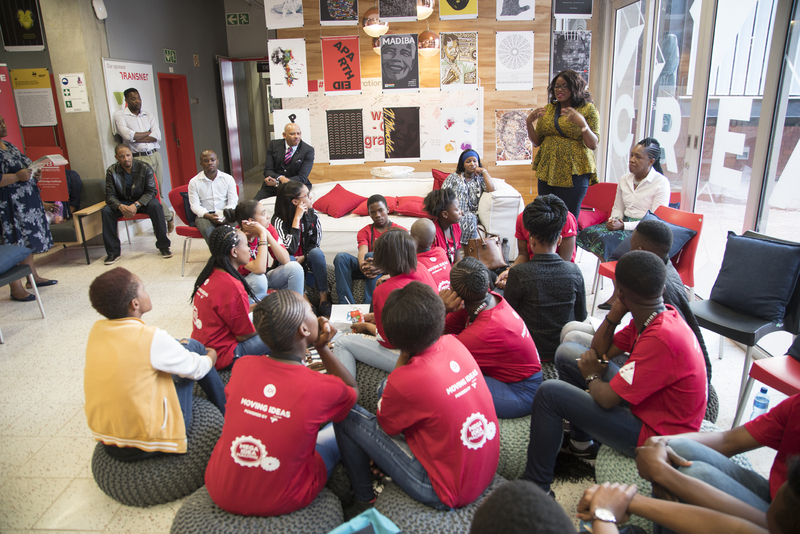 Aiming to make a positive contribution to economic and social transformation in South Africa, the help and guidance of business advisors was sought and young people from both the townships and white-only areas were brought together to gain business and entrepreneurial skills through practical, experiential programmes. 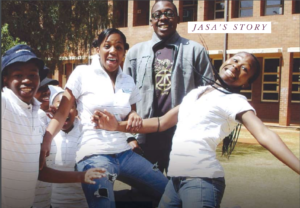 Through some very turbulent times in the history of the country, JASA has never ceased to offer young people alternatives to formal employment. In spite of a rather scary visit from the Security Police in the early 1980s, during which we were informed that they knew what we were up to but had decided to turn a blind eye, for now, the programmes were extremely successful. … In the mid 1980s, JASA was established as a separate Section 21 organisation. A very talented colleague, Eric Louw, and I were able to negotiate significant funding from USAID. With Steve as the Director, Norman Adami joined JASA as a founding member of the first Board of Directors and played an invaluable leadership role in giving direction and inspiration. The real heroes in the early days were the business advisors – business managers who gave of their time and wisdom to support the achievers. They would go back to their offices after seven in the evening when the programme ended, to finish their work. The most dedicated and effective advisor was Barry Cook, who advised on every Johannesburg programme for many years. A very fine chemist and manufacturer, he increased the product range made by the youngsters – and significantly improved the quality of their products. Chris Ball of First National Bank saw the finance potential of the advisor role as a highly effective management development tool and it became an integral part of the fast tracking of managers in the banking group. This managerial development aspect was widely promoted to other businesses and enabled a massive increase in activity and enhancement in the effectiveness of the advisor process. One of the most admirable qualities of JASA is its resilience. Since its inception it has operated through very turbulent times that never affected its programme delivery. 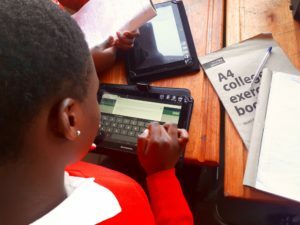 I recall a Cape Town awards evening in the mid-1980s where a young lady indicated that the JASA programme was the only education she had received that year (the schools had stayed closed) and that it had given her courage and hope. The sound financial management of JASA has contributed to its success. The twin philosophies of “get the money before you spend it” and “look after it well when you have it” was adopted by Steve and continued so very admirably by Abdul Rajah. Linda McClure was appointed as the Managing Director in challenging times and successfully consolidated the success of the organisation and, with the support of a very dedicated Board and staff, re-established JASA as an NGO of reputation, success and impact. The potential of JASA to transform the lives of young people is needed as much now as it ever was. Over time, the number of programmes increased and the footprint expanded to a national reach, with the organisation being registered as a Section 21 Company. 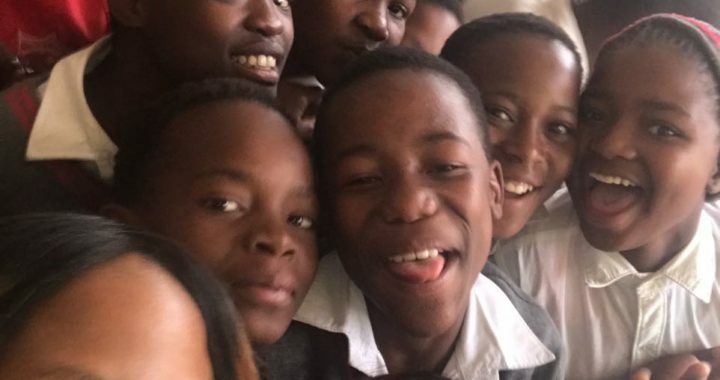 Since then JASA has continued to successfully deliver business and entrepreneurial programmes to learners in and out of school, across the country. 1979/1980 – JASA is founded and the first programmes are established. By the mid-1980s JASA becomes a separate entity from the Wits Business School’s Centre for Developing Business. 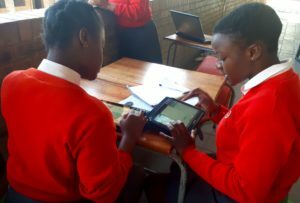 1993 – USAID funds facilitate the development and piloting of the first in-school programme: the Enterprise Dynamics Programme. A new format is introduced for administering the Mini Enterprise Programme (MEP), now known as the Enterprise Programme, which involves contracted co-ordinators supported by the national office. Despite problems of violence and poor school attendance in the black residential areas, programme attendance averages 91% nationwide. By this year, JASA had delivered 1 000 MEPs and 30 000 students had benefited from attending JASA programmes. The Centre for Opportunity Development, later known as Business Establishment and Sustainability – BESP, is established to offer a similar programme to disadvantaged, unemployed, out-of-work youth and receives a glowing report from Pro-Civitas Education consultants, who call it a, “pedagogic model which could well have a significant contribution to make, not only to youth development, but to education in the wider extent.” The BESP programme trains 6 500 youth and unemployed people in economic literacy and how to research their markets in order to establish a small business. 1995 – BESP opens a new branch in Polokwane, with 70 teachers trained to deliver programmes to 4 350 learners, reaching a peak of 1 752 learners. 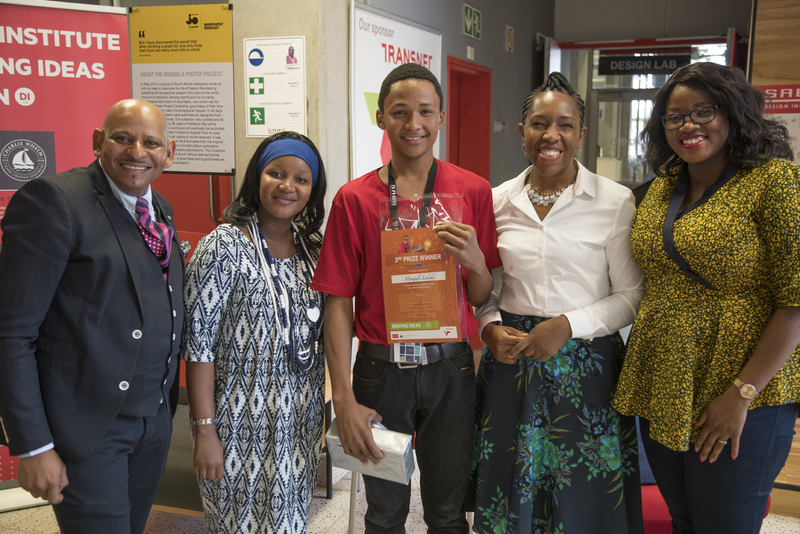 South African achievers receive the highest percentage (95.4%) of pass marks in the Cambridge University enterprise examination of any country outside the United Kingdom. Clem Sunter, author and then executive director of Anglo American Corporation, addresses the 1995 awards ceremony and says that JASA programmes go to the very heart of the South African situation. 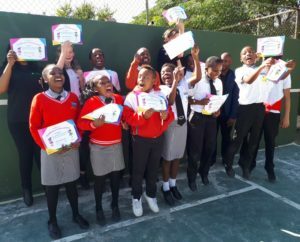 The GLOBE programme, introduced that year, initiates a group of high school pupils into the mysteries of foreign trade, exchange rates and the cultural problems inherent in the import-export business. 1996 – Excellent results are once again achieved by the record number of 245 South African candidates writing the 1996 Cambridge University examination. A 95% pass rate is attained, with 9% of the candidates receiving distinctions. The BESP programme is restructured at all branches, making it significantly more cost effective, attractive to donors and relevant to its target market. 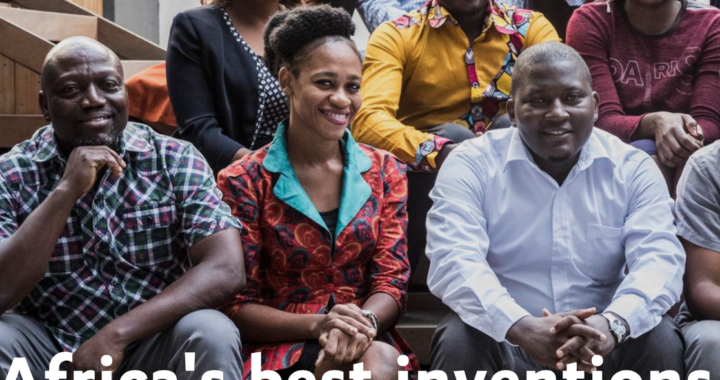 JASA is publicly acknowledged by Britain’s Overseas Development Administration (ODA) as the funded project that brings the best return on investment. Dr Stephen Black retires and Abdul Rajah, Finance Director, takes on this portfolio temporarily. The JA Today journal is launched to raise public awareness of JASA. 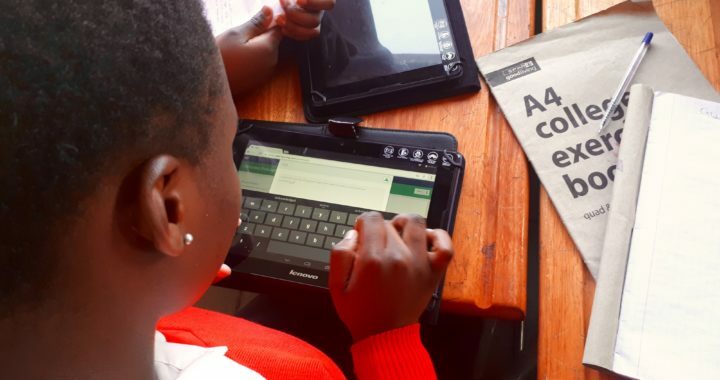 2000 – JASA textbooks and educator guides receive approval by most provincial education departments for use in Grades 4 and 8, in partnership with Vivlia Publishers. 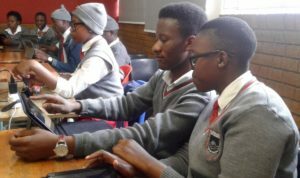 The MEP, a programme traditionally attended by Grade 11 learners, is offered to a group of unemployed graduates in collaboration with Absolute and Keyboards, and the impact is astounding. JASA achievers also make an impression when addressing the Global Summit for Women, held in Sandton. 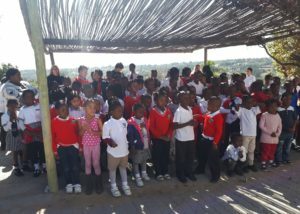 The KwaZulu-Natal branch receives the Durban Mayor’s Award for Excellence. JASA secures funding for the national database from the Department for International Development (DFID) in the UK. JASA hosts visitors from Namibia and USAID who are interested in setting up similar initiatives in their countries. Ernest Mchunu, a retired executive, joins JASA as MD and Chairman. Zanele Twala, one of our managers, attends a workshop on institution building in Washington, under the auspices of The Centre for Development and Population Activities (CEDPA). A special training programme for unemployed graduates takes place in Observatory from October to December. More than 30% of the graduates participating in the programme are placed in permanent jobs. The initiative incorporates one of our business programmes, the MEP. 2001 – Zanele Twala is promoted to the position of Managing Director. A function is held for 100 past achievers to form a JASA Alumni Association. Alumnus Nonhlanhla Masina, from Jeppe Girls High School, attends the Marion Group Global State Institution in Chicago. Khetha Mbatha from Hill High School and JASA Board member Phumi Siphayi attend the Global Summit for Women in Hong Kong. JASA headquarters relocate from Parktown to The Business Place, 58 Marshall Street, Johannesburg. Zanele Twala attends international conferences: Junior Achievement Global Leadership Conference in Milwaukee and the Springfield Centre for Business Development in Glasgow. JA Africa Region is formed in Nairobi and Ernest Mchunu attends the meeting. The Banks In Action Programme development is completed, ready for pilot in 2002. 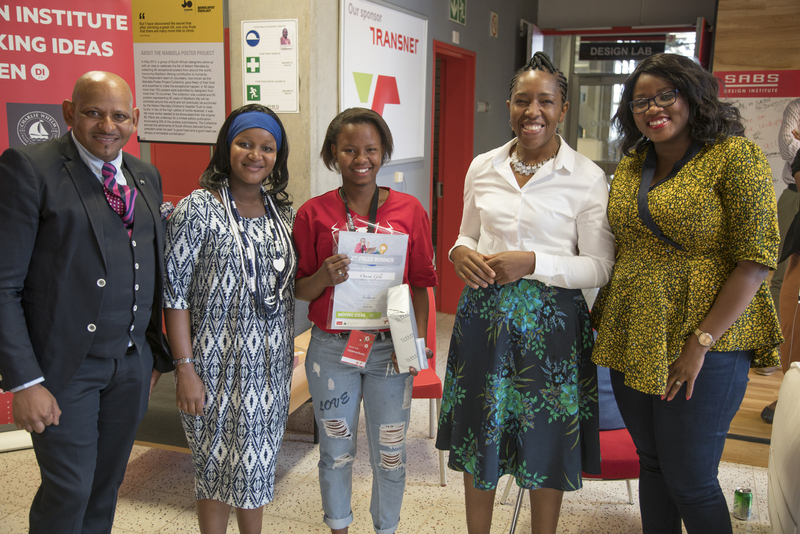 2002 – Thembi Khoza joins the Youth Development Network (YDN) delegation visiting Brazil to observe youth projects and observe what a country similar to South Africa is doing to address youth unemployment. The Youth Unemployment Summit in Egypt, which had 65 countries participating, provides a perfect opportunity for our MD Zanele Twala to share information with delegates from other developing countries. Cyril Ramaphosa attends a breakfast session where JASA showcases a number of young entrepreneurs. Ten staff members attend a YDN conference on programme implementation. Vumile Msweli, a KwaZulu-Natal achiever, represents JASA at the Marmon Global Trade Institute Conference in Chicago, USA. 2003 – The Job Shadow and Banks In Action programmes are launched. 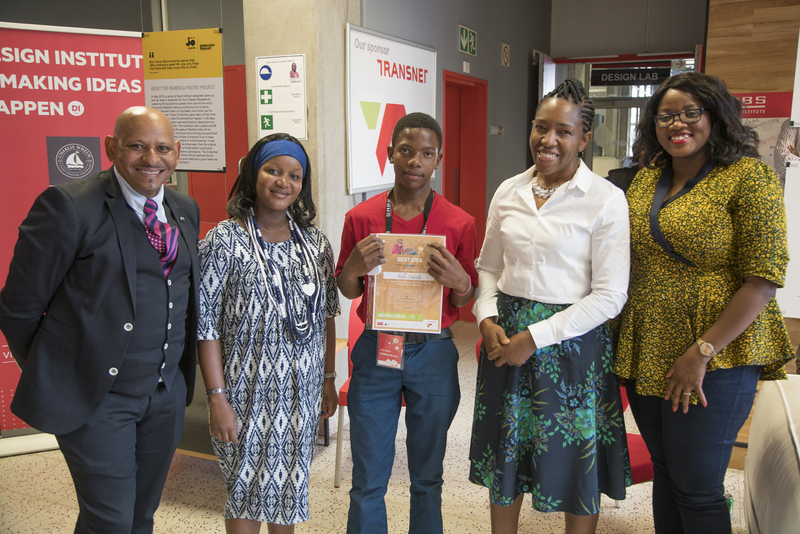 Thembi Khoza and Abdul Rajah attend a three-week sustainable development programme in Glasgow. 2004 – Zanele Twala leaves JASA to fill one of the highest positions in the non-governmental sector in South Africa, becoming MD of the South African National NGO Coalition (SANGOCO). The MEP performs extremely well, surpassing targets set at the beginning of 2004. Significant progress is made towards aligning the organisation with the requirements for accreditation by the South African Qualifications Authority (SAQA). JASA receives the Jet Club Community Award in 2003 and in 2004. A large-scale change occurs for JA International when it merges its operations with the head office of Junior Achievement Inc. in the US. The process involves some internal restructuring and results in a name change to Junior Achievement Worldwide. 2005 – A new strategy for JASA is developed and implemented and programmes identified as non-core are phased out. Based on the vision and mission statement, the major aims of the organisation are redefined. JASA provides a range of educational and business support services to a total of 6 038 young people. Dr Stephen Black, the founder of JASA, passes away in November. A Quality Management System (QMS) is introduced throughout the organisation. 2006 – JASA welcomes Linda McClure as the newly appointed Managing Director. Linda was the founding director of the Gordon Institute of Business Science, and her role was that of Director: Operations, Finance and Human Resources. Wendy Luhabe is announced as our patron at a function commemorating Youth Day on June 16. The Alumni Association is revived at a function in October to provide a network for JASA graduates who wish to continue their association with the organisation. JASA is awarded provisional accreditation with the Services SETA. A JASA Youth Council, on which selected MEP graduates sit, is established to ensure youth involvement in programme development. Finance Director Abdul Rajah receives the Frances Hesselbein How to Be Award in July 2006, during the JA Worldwide Leadership Conference in San Diego, California. JA Africa regional directors meet for the first time, in Johannesburg, with future meetings planned bi-annually, to share best practice in programme delivery and organisational management. 2007 – As a result of the assistance and support of our patron Wendy Luhabe and the board, 15 new companies join the list of funders. JASA successes include an increase in student numbers of over 60% from the previous year and an increase in the reach of our programmes. The MEP receives the official endorsement of the Gauteng Department of Education. A total of 147 programmes are delivered during the year and for the first time are delivered in all nine provinces in both rural and urban areas. The MEP is piloted in a juvenile detention centre and a school for the physically challenged in Kimberley. 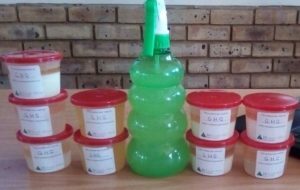 The JASA Success Skills Programme, which was piloted in the previous year as a life skills programme, is successfully delivered in both Mpumalanga and Gauteng. 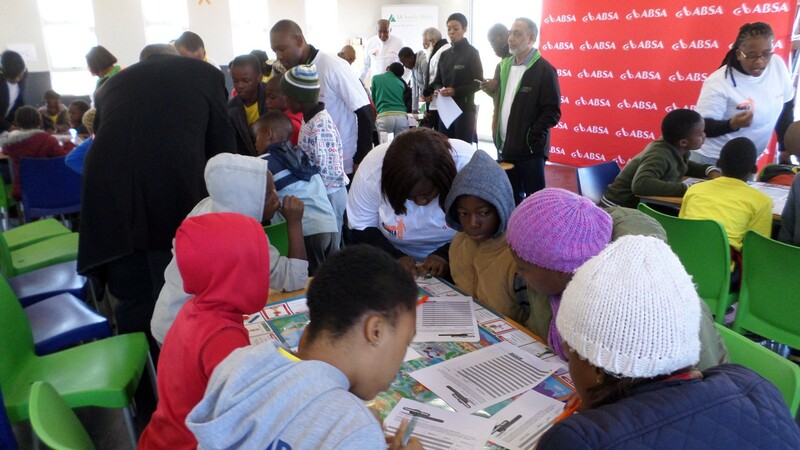 Three Career Days, supported by the Bankseta, are hosted in Gauteng, Mpumalanga and Limpopo. Linda McClure attends the International Young Entrepreneurs Forum in Cordoba, Argentina. Hosted by JA Cordoba, this forum involved over 600 students from mainly Latin American countries. It provides a model for a similar forum to be hosted by JASA in the future. Linda McClure attends the JA Worldwide Leadership Conference in Washington DC in August. The conference hosts JA members from around the world and provides an opportunity to interact and learn from JA operations in other countries. A past achiever, Amukelani Shilubane, represents South Africa at the Road to Davos 2008 Summit, supported by the British Council, providing young people with the opportunity to present world issues to leaders of the G8. They initially meet in Greenwich UK as a preliminary to the actual G8 summit in Davos, Switzerland. 2008 – Our programme reach increases by 72% over that of 2007, bringing the increase in learner reach for the past two years to over 140%. Three new programmes are successfully piloted and implemented – More Than Money and JA Titan in Gauteng and It’s My Business in Mpumalanga. In addition, the Travel and Tourism Programme is developed and delivered to birding guides, in partnership with Birdlife South Africa. 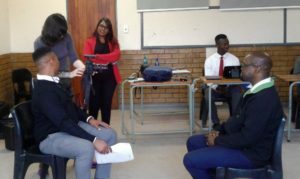 The JASA Youth Council successfully hosts a debating tournament over two weekends. 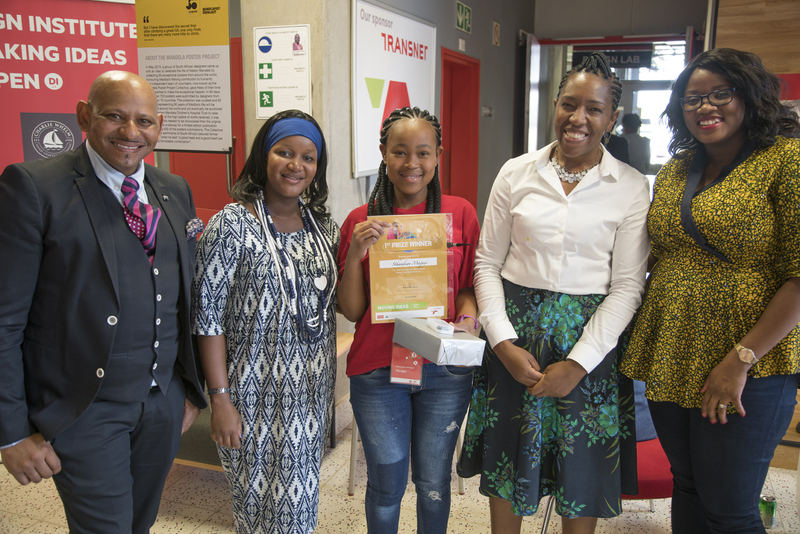 JASA successfully hosts the Global Entrepreneurship Week (GEW) together with Endeavor and the Wits Business School’s Centre for Entrepreneurship. The GEW was hosted in the United Kingdom for the previous five years and was launched globally in 2008. In December 2008 JASA relocates to new offices in Kuyasa House near Ghandi Square in the Johannesburg CBD. 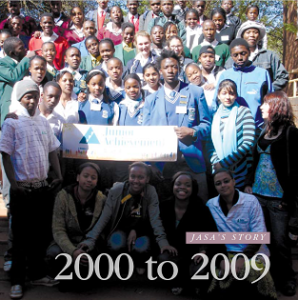 The information that relates to JASA’s history until 2009 was excerpted from the 30th anniversary commemorative book, which can be accessed here. Please fill in this form if you would like to receive information about mentorship opportunities in the latter half of 2018 and for our programmes starting in early 2019. If not your home language, what is your English-speaking level? Do you have previous mentoring/ volunteering experience? 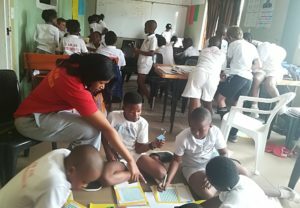 ABSA staff volunteers assisted JA South Africa on Mandela Day 2017, where we partnered to implement the JA More than Money Programme, which teaches financial literacy. 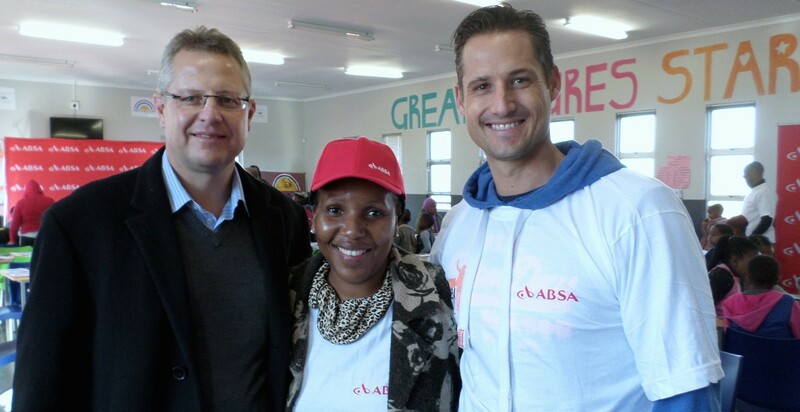 Together, we reached 90 Grade 5 to 7 learners at the Boys and Girls Club in Protea Glen, Soweto. 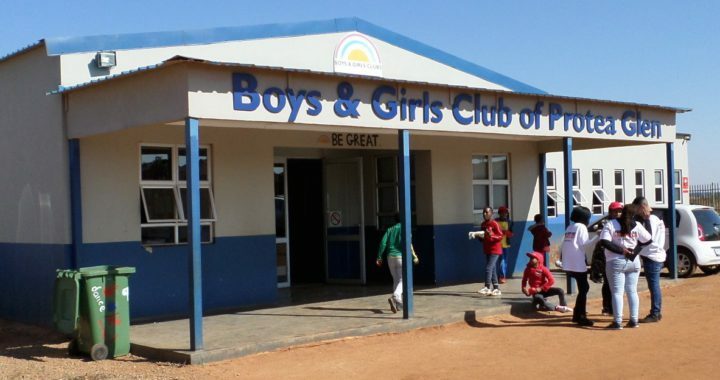 Thank you to ABSA staff and our welcoming hosts at the Boys and Girls Club, who ensured that the students came and that everything ran smoothly. ABSA staff arrived bright and early to be briefed on how to lead the teams in the entrepreneurship sessions for the day. 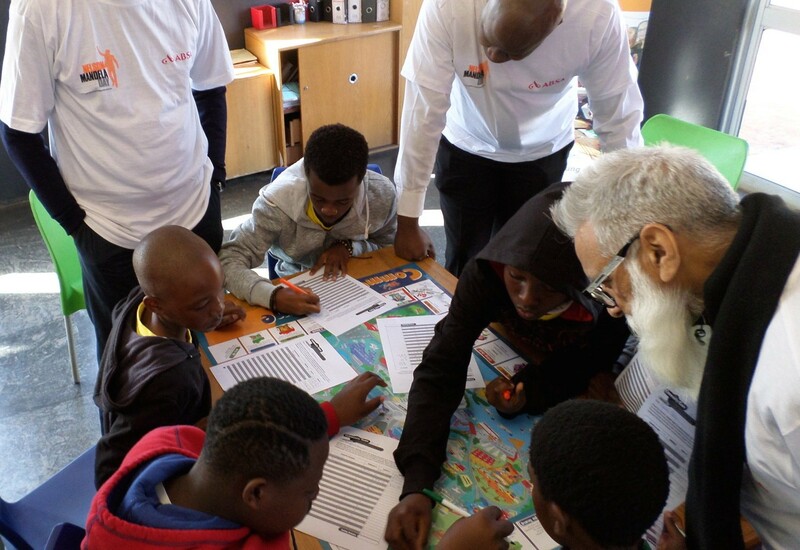 The learners were divided into groups and first they came up with team names and war cries – one team chose Mandela Magic as their name and another the Nelson Mandela Crew. Each team enthusiastically belted out their war cry. Then the learners were guided through a game that introduced the concepts of earning, spending, saving and investing. This was followed by a session where they identified problems they could be solved in society by applying their skills and talents. 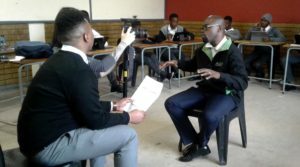 Through this process they came up with potential businesses and the ABSA mentors spoke to them about drawing up a business plan. Then they presented their business ideas and receive advice. 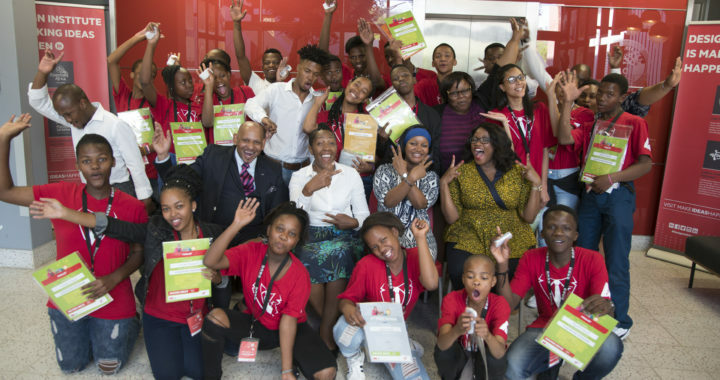 May our partnerships continue to plant seeds that enable youth to unlock their entrepreneurial potential.